Unique design: Each mermaid bracelet has two color sequin on it, which makes it more beautiful. 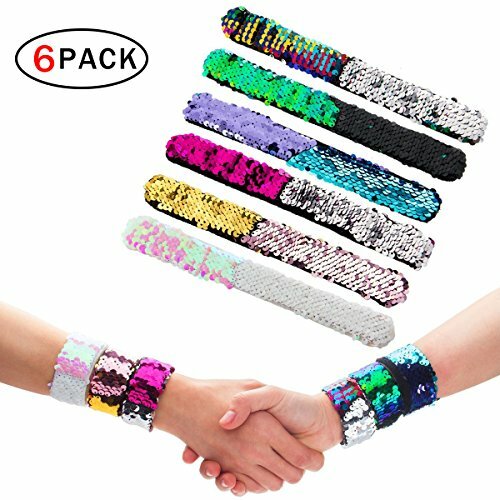 High quality material: The mermaid bracelets are made of high quality material that one side is soft velvet and another side is bling-bling paillette. Multipurpose: It is a good gift for child, can be used in any location such as Birthday, Party, Festival etc., it also be used at ordinary times.